Thursdays come and go so quickly this time of year. How about some links, hm? 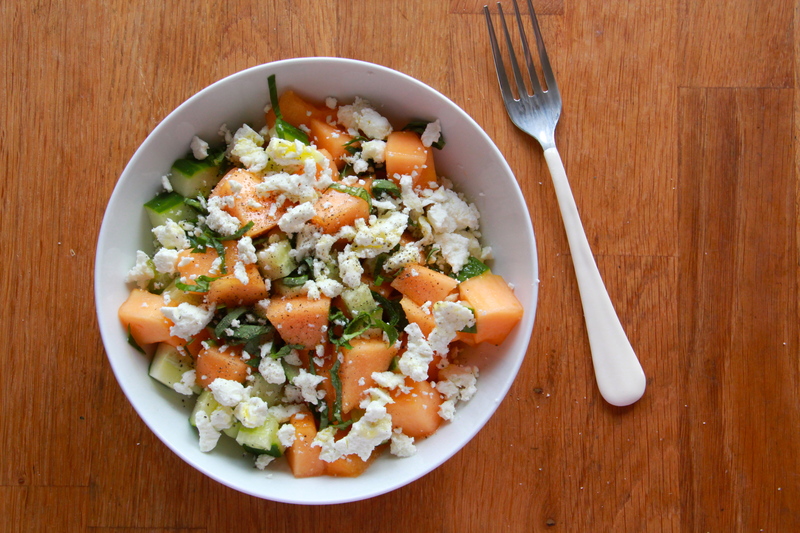 A no-cook meal I want right now: Sweet Melon, Cucumber & Goat Cheese Salad. Do you read theSkimm? I love it for catching up on the news every morning. This cheesecake looks so baller. Can’t wait to try the salad recipe, just need for the melon on my counter to ripen. In one of the pictures in the recipe, it looks like a cool colored knife. I’m intrigued — do you recall info on that? Big big fan of your blog and cookbooks (just have the first one, but who am I kidding — I’ll be getting the other one too. Hey, what’s one more book.